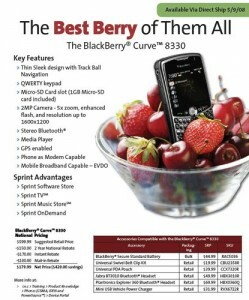 The BlackBerry Curve 8330 to make an appearance on Sprint’s online store. In fact, as “mid-May” goes, May 9 is actually on the early side of things if you want to get technical about it, so we guess some kudos are actually due here. 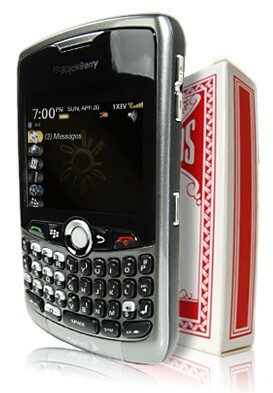 Sprint’s asking $179.99 on contract with rebates for the pleasure of indulging in its latest mobile productivity tool, which you’ll ironically be using to respond to emails during meetings that you’re supposed to be listening in on. Funny how the world works, isn’t it? After the April slip-up — which we’re hearing might be more RIM’s fault than anything else, a thought validated by the fact that Sprint, Verizon, and Verizon have all slipped — it looks like Sprint customers and would-be customers might finally be able to get their hands on some sweet, sweet Curve lovin’ tomorrow. 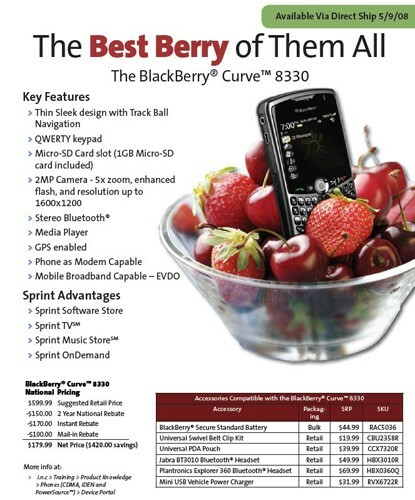 Boy Genius Report has netted what appears to be a page out of Sprint’s internal Playbook, showing “direct ship” availability as of May 9 for a mere $179.99 on contract after the full menu of rebates has been applied. Not bad, all things considered (the price, that is, not the delay we’ve been suffering through).